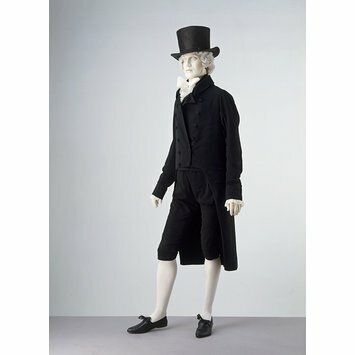 An ensemble made from black wool has been the uniform of the middle-class professional – doctor, lawyer, clergyman, academic, merchant, businessmen - since the late 16th century. This tradition continued through the 19th century and well into the 20th. 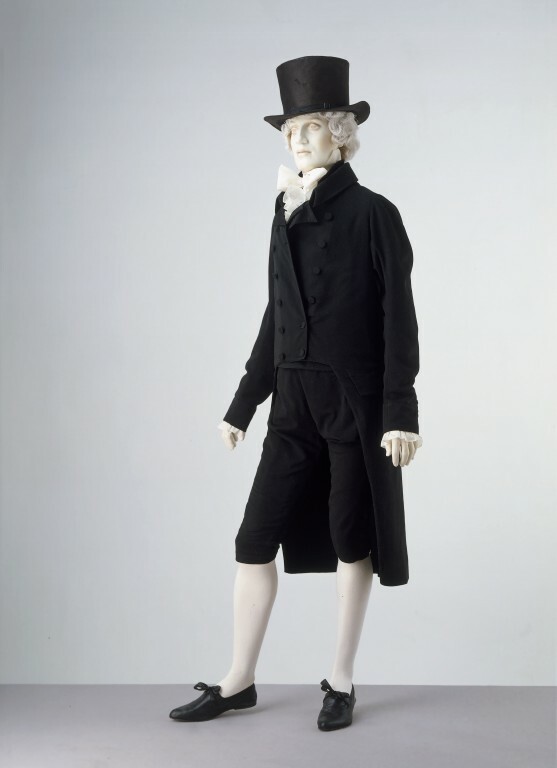 The sombre colour of this suit befits the sober profession of its wearer, Thomas Coutts (1735-1822), the founder of Coutts Bank. The notched collar and cut-away front of the coat reflect early-19th-century fashions. On the other hand, the old-fashioned breeches are appropriate for Mr Coutts's advanced age.